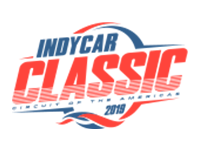 The field has been set for the inaugural INDYCAR Classic and the Andretti team will have a car on each of the front two rows. Round 1, Group 2 of qualifying saw a the session come to an end with a red flag which allowed Zach Veach and Alexander Rossi to join Ryan Hunter-Reay (Group 1) in the second round. After the time expired on Round 2 of qualifying, Rossi and Hunter-Reay found themselves in the Firestone Fast Six. All 60-laps of the INDYCAR Classic at Circuit of the Americas can be seen on NBC Sports Network starting at 1 p.m. ET.